Every little helps…. 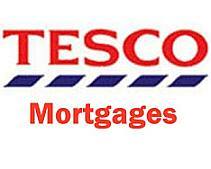 Mortgages by Tesco? I read an interesting article today (here) about Tesco. 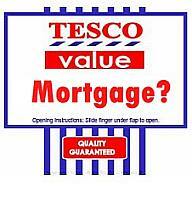 Apparently Tesco Personal Finance will offer mortgages in the UK in the near future, however, they have not decided if they will include broker facing product ranges in the recently announced offering. The supermarket chain has taken on Benny Higgins, former head of retail business at HBOS, and in press over the weekend he says there are plans to expand the Tesco Personal Finance offering to include mortgage and current accounts products. Tesco have (in Ireland) faced bitter competition from discounters such as Aldi and Lidl, however, neither of those firms have entered into the personal finance arena. Tesco is already doing car insurance, home insurance, and personal loans. This would give them a key strategic advantage over these rivals and perhaps it would offer bottom line profits that would enable them to meet the discounters in other areas of their business. The financial services side of Tesco is all done via existing insurers and what they have done is to realise they have a distribution opportunity, whether they will ever offer mortgages in Ireland is anybodys guess. I would imagine that if it works in the UK it may work here but likely brokers may be required as an offer of ‘great value’ would obviously not be a tied offering. The ability to spread their net quickly would also be better served by broker distribution as there is a broker in almost every town there is a Tesco in. As mentioned, the credit markets are not fixed so it will be 09′ before we see any development in the UK and the performance would have to be proven there before it can be tested elsewhere.